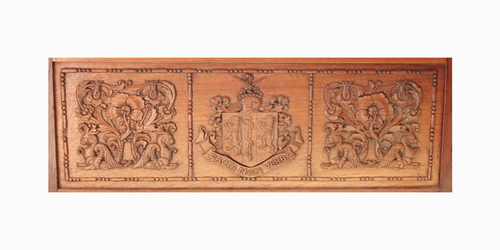 Dower chest carved 1943, Elizabeth (Nancy) Payne . Who was Nellie Payne? Dower chest for Elizabeth Payne. 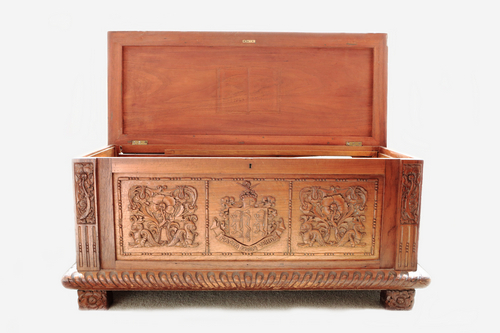 Close up front Elizabeth Payne dower chest. 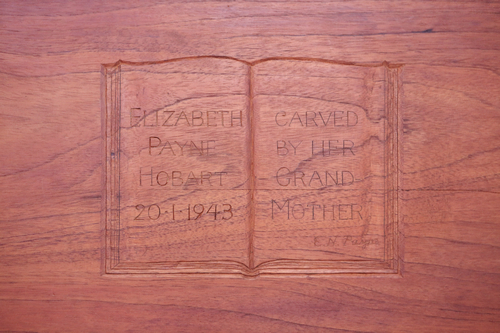 Close up inscription inside lid, Elizabeth Payne dower chest. Elizabeth Payne dower chest lid open. Elizabeth is Nellie and Dr Payne’s eldest grandchild – the eldest daughter of Geoffrey and Gladys Payne. 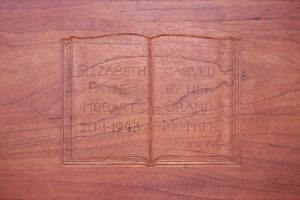 Liz was born in 1922 and Nellie carved her dower chest for her 21st birthday on 20.1.1943. Liz always wanted to travel and left Tasmania for England, visiting Africa on the way. She married Evelyn Davson in Gloucester, England in 1950 and honeymooned in Paris before going to British Guiana for a 6 month posting with her new husband. They had 2 married daughters, Jane and Prudence in England and a married son Philip in Switzerland. 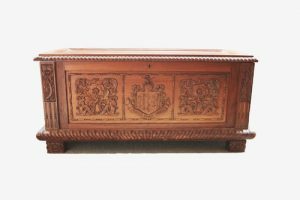 Elizabeth still lives in London at age 93 and her precious dower chest, with its “lizard” motive, which her grandmother carved for her still in her possession. Nellie also carved the Davson coat of arms for them. (see Piece 188). 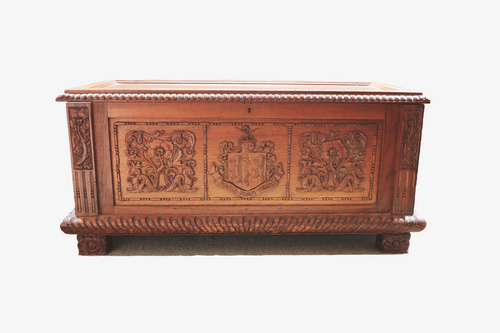 Photographs of Elizabeth dower chest sent from Philip Davson.